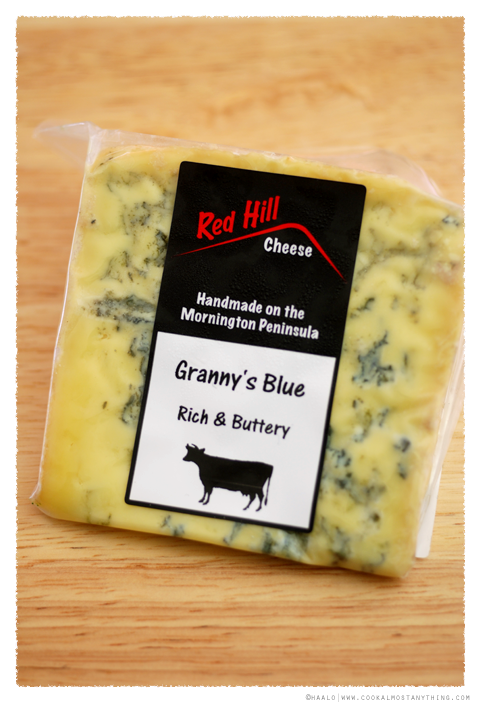 Back to the Mornington Peninsula for another cheese from Red Hill - this time it's a cows milk blue called Granny's Blue. The milk for this cheese is 100% organic and sourced from South Gippsland while the rennet used is vegetarian. The cheese has a pleasant baked bread aroma to it and as you can see shows quite a high level of veining. 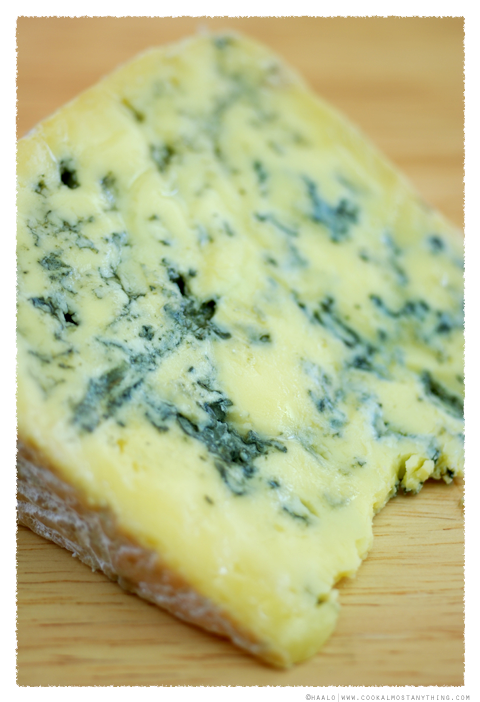 It is a moist cheese and will crumble when cut. 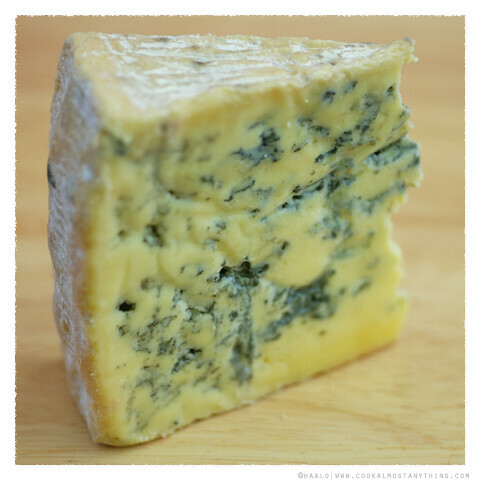 There's a graniness in the texture in the more veined sections though overall it has a creamy mouthfeel and is full flavoured without being overpowering.